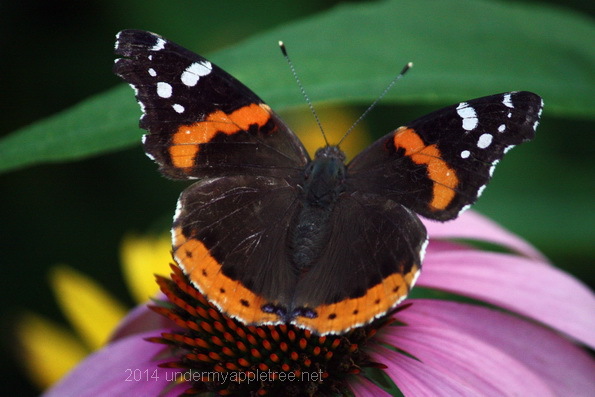 Almost wordless: Butterflies have been frequent visitors to my wildflower garden. Wow, what a wonderful capture! We planted lots of things that are supposed to attract bees and butterflies, but the butterflies haven’t gotten the word yet. It seems they’re disappearing in our area. How pretty. We haven’t gotten many butterflies this year.